Haute & Co.™ Bridal is a luxury bridal boutique that styles brides’ sizes 14 to 32. We deliver an enchanting bridal experience and offer classic, fashion forward wedding gowns for curvy and plus size brides. Offering three ways to purchase, our collection start at $895. For brides that would like to purchase immediately, there are many options from the trendy to the classic, from boho-chic to glamourous - all in sizes 14 - 32. Brides will be able to order their gown – closer to her measurements - from one of the designers in our collection. The gown will be shipped from the designer’s studio between 16 – 24 weeks from the date of ordering. Create your own customized wedding gowns by adding sleeves, changing the color, converting an A-line wedding gown to a trumpet silhouette, adding more volume to the skirt, the choices are endless. Customized gowns will ship from the designer’s studio approximately four to six months from the date of ordering. 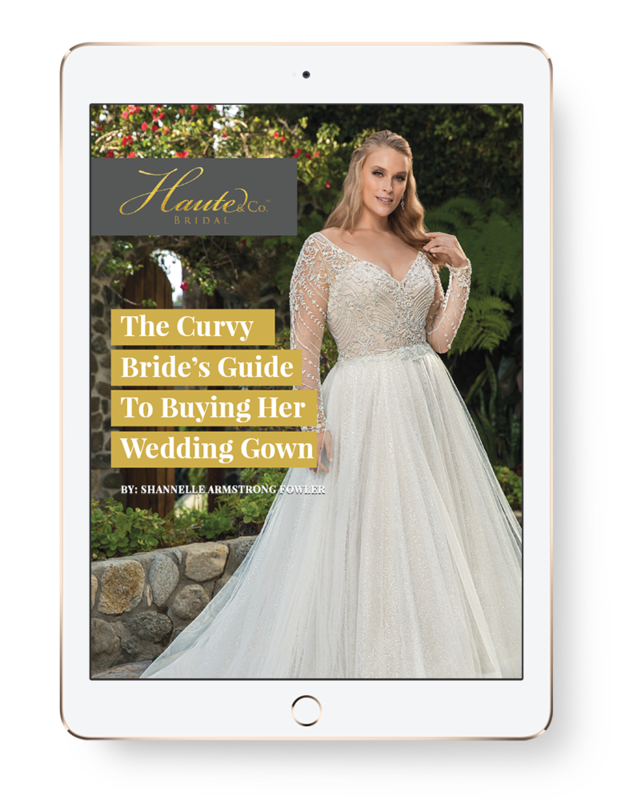 a complimentary copy of our ebook, The Curvy Bride’s Guide To Buying Her Wedding Gown, plus access to exclusive promotions and discounts.